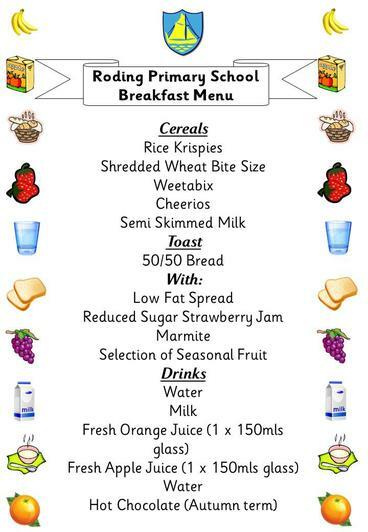 The menu for Breakfast Club has been revised in line with guidelines published by the schools food standards. This will ensure the pupils at Roding receive a healthy start to their day. The menu will start on Tuesday 7th June 2016 and be displayed on the school notice board & Parent's section of the website for your information.